Well I'm staying very busy here a ONE GIRLS PARTY..But had to take a little break to see more fashion from THE CANNES FILM FESTIVAL. some may say "never wear red on the red carpet" but in this case I say "RED MEANS GO!!!!! I love when you can add just a little white with the red...it just works so well and doesn't get lost on the red carpet .. 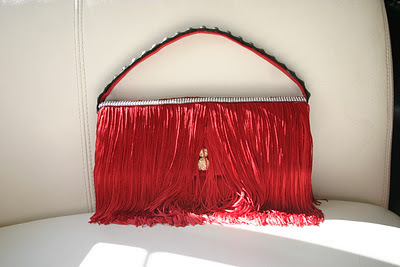 I love making red handbag,here at ONE GIRLS PARTY its a must!! !